The announcement by Joe Belfiore, corporate vice president of Windows at Microsoft, might be considered to be a big concession to Google's browser market dominance with its Chrome browser. Chrome is a proprietary browser that's based on the open source Chromium project, which Google initiated. Over the years, the Edge browser hasn't been able to regain the market dominance that earlier got carved out by Microsoft's Internet Explorer (IE) browser. IE currently is a "deprecated" product (not being developed), but it still has more than twice the market share of the Edge browser, per U.S. government site-visit stats. Microsoft's announcement that it was shifting to the Chromium platform wasn't entirely a surprise as the notion had been floated earlier this week in this Windows Central story, which cited unnamed sources. The reasons for the shift to the Chromium platform are that it will improve the experience for "both end users and developers" using Edge, Belfiore explained. Users will get improvements in site compatibility and better battery life, while Web developers will get "a less fragmented web platform to test their sites against." Belfiore also promised that IT departments will see better Web app compatibility on Windows systems. "Because we'll continue to provide the Microsoft Edge service-driven understanding of legacy IE-only sites, Corporate IT will have improved compatibility for both old and new web apps in the browser that comes with Windows," he said. Belfiore clarified that Edge's shift to the Chromium platform mostly concerns the desktop version of the Edge browser. An Edge preview using the open source Chromium technologies is expected to show up in "early 2019" as part of the Microsoft Edge Insider Program for test builds. Microsoft also makes Edge apps for both Android and iOS mobile operating systems, but these apps already use aspects of the Chromium platform. For instance, the Edge app for Android uses the Blink rendering engine of the Chromium project. The Edge app for iOS uses the WebKit engine. Microsoft explained those details about a year ago, but that's why its present Chromium shift will be geared to Edge on the Windows desktop. Belfiore also indicated that "Microsoft Edge will now be delivered and updated for all supported versions of Windows." Moreover, the Edge browser will get updated "on a more frequent cadence." Lastly, Microsoft thinks the shift to the Chromium platform will help bring Edge to the macOS desktop. Edge for the desktop currently just runs on Windows 10, but the promise of bringing Edge to all supported Windows versions suggests that Microsoft will build it for Windows 7 and Windows 8.1, too, as well as associated Windows Server products. It's not clear if Edge will become available for users of the long-term servicing channel versions of Windows 10 and Windows Server. Presently, Microsoft doesn't support those use cases because LTSC implementations don't get frequent updates. 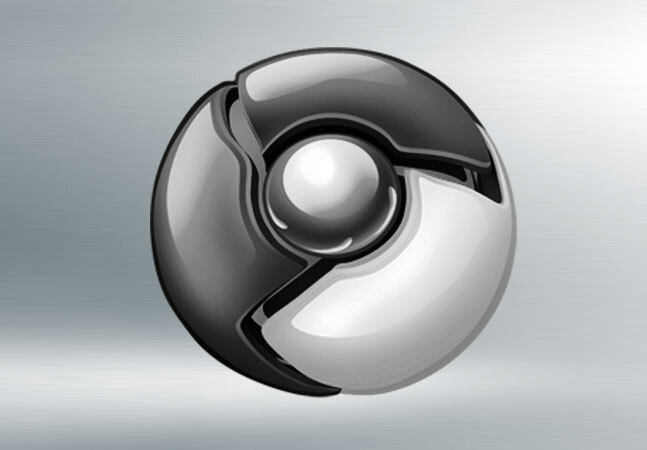 The Chromium project does include the use of the Blink rendering engine. Microsoft's new direction suggests that it will scrap the use of its EdgeHTML rendering engine. Likely that's the plan, although Microsoft hasn't specifically said so, at least in recent public announcements. Microsoft explained its intent in shifting to the Chromium platform in this GitHub post by the Edge team. It's a "decision for the long term," and Microsoft plans to support common new platform capabilities while also offering "differentiated user experience features and connected services" in its Edge browser. Microsoft particularly will leverage "Chromium's cross-platform app technology along with a change in our distribution model" for all supported operating systems. The team noted that its past practice of shipping Edge improvements with full Windows 10 releases had just "slowed our ability to update, causing platform fragmentation and exposing compatibility gaps," which is something it wants to avoid. As part of the Chromium project, Microsoft will have an initial focus on enabling Edge browser support on ARM-64 based Windows systems. It'll contribute Windows accessibility capabilities to the Chromium codebase, as well as improvements in "desktop touch, gesture recognition and scroll/panning smoothness." Lastly, Microsoft is partnering with the Chromium team on security to ensure best coding techniques, particular for Windows. Microsoft intends for its engineers to "learn and over time become experts in the Chromium project." And it's hiring to that end, too, according to a Twitter post. The Microsoft Careers portal currently shows 23 listings associated with "Edge jobs."